Roku shares failed to break above the mid-$70s. Market is now ignoring the company's strong Q4 report and may erase the post-earnings rally. Since the start of 2019, shares of Roku (ROKU) rose by over 90%. The rally stumbled after the stock tested the $70-75 level on two occasions in the last two months. After two analysts downgraded the stock in April, the euphoria following its last quarterly earnings report is wearing off. Did Roku really “double top” and will the stock find support in the low $50s? Shares closed at $58.57 on April 9, 2019. Markets have a short-term memory. Since its fourth-quarter report on Feb. 21, traders could continue the selling pressure, effectively erasing the post-earnings rally. Roku reported EBITDA growing 70% to $24.5 million. Strong demand for players and TVs resulted in 27.1 million active accounts for the year. Roku's users are spending an increasing amount of time on the platform. In 2018, stream hours increased by 9.2 billion to 24 billion. In the fourth quarter, revenue grew 46% to $275.7 million, helped by player revenue (up 21%) and platform revenue (up 77%). Platform margins continue to be healthy, as gross margin topped 40.7%. In 2018, Roku hired more staff, adding 36% more employees and ending the year with 1,100 employees. In 2019, stock-based compensation will add $73 million to costs. Operating expenses grew 67% to $106.8 million. Roku forecasts revenue of just over $1 billion this year and $450 million in gross profit. The company assumes platform revenue will grow to two-thirds of total revenue, while player revenue will come in flat. Gross margin will improve to the low 60% range and assumes video advertising and premium subscriptions adding positively to results. Roku will report weak first-quarter revenues due to seasonality. In fact, management said that player revenue will drop 50% sequentially while platform revenue will fall 20% sequentially. Still, year-over-year revenue will grow 37% at the midpoint and platform revenue will grow 60%. At $1 billion in revenue this year, Roku's shares are valued at around 6.5 times forward sales. That is a high multiple. Amazon.com (NASDAQ:AMZN) trades at 3.9 times price to sales while on the music streaming side, Spotify Technology (SPOT) trades at 4.4 times sales. Wall Street is somewhat still bullish on ROKU. Based on 11 analysts offering a one-year price target on the stock, the average price target is $62.60. This would suggest that the stock has only ~7% in additional upside. And with a short float at 11.5%, bears may become increasingly negative by capitalizing on the near-term selling pressure on the stock. At the heart of Roku’s problem is not its valuation but the risk that its business model will face disruption from competitors. On April 3, Amazon (AMZN) asked its advertisers to commit millions on Fire TV to increase its content. This would entice consumers to buy a Fire TV device instead of a Roku or a Roku-powered TV. Neither firm may count on ad-supported content for attracting viewers. Netflix (NFLX) is the big fish in the streaming space whose support could give either platform a substantial boost. For now, Netflix is unlikely to support Amazon due to the competition from Amazon’s Prime services. Roku filed for a mixed shelf offering on March 12. This may dilute existing shareholders and already add to the selling pressure on the stock. 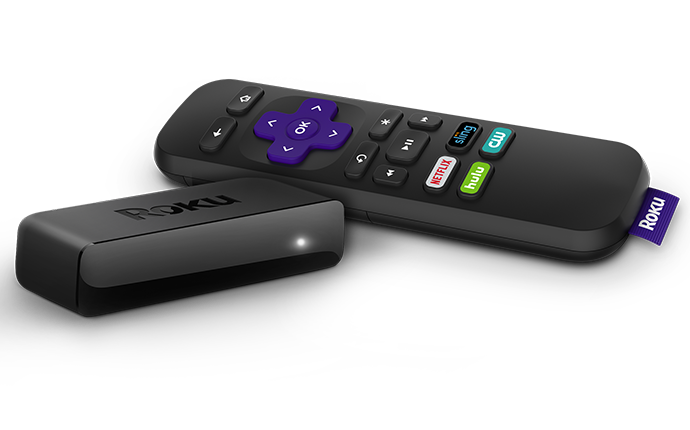 Fundamentally, the offering increases Roku’s cash on hand and gives the company plenty of capital to grow the business. Roku may use the capital wisely and make strategic acquisitions or investments that grow its market share. Roku’s nearly 15% drop in the last week alone may have enough negative momentum to send the stock lower. Markets already expect a weak report when the company reports its next quarterly results. If it manages to report better-than-expected results, Roku's stock could re-visit 52-week highs. For a limited time, I am inviting you to sign up for risk-free trial access to DIY (do-it-yourself) investing. Trading Roku was discussed ahead of the company's fourth-quarter report. This invitation will close after reaching capacity. Please [+]Follow me for coverage on deeply-discounted merger opportunities. Click on the "Follow" button beside my name.